Walking with Jesus: Day 40: Matt. 17:1-13 & Psalm 40 - Is Seeing Believing? Why did Moses and Elijah appear with Jesus? Day 40: Matt. 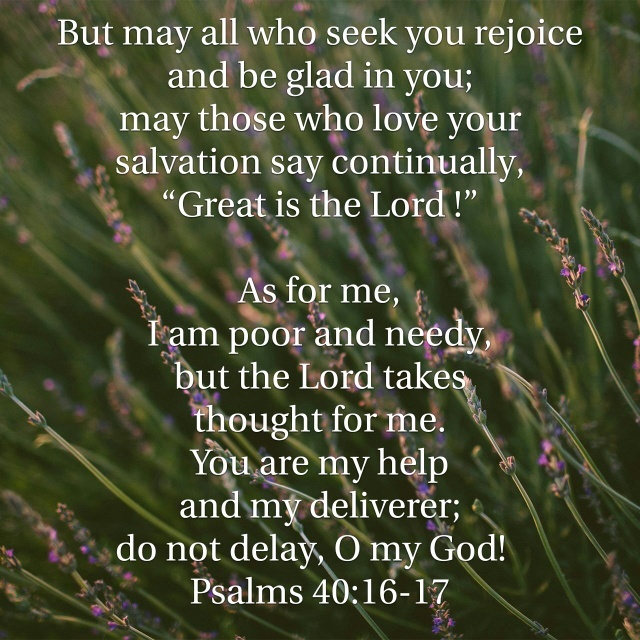 17:1-13 & Psalm 40 - Is Seeing Believing? Why did Moses and Elijah appear with Jesus? Why did Moses and Elijah appear with Jesus? "Seeing is believing," the old saying goes. Many Christians even buy into this worldly proverb and think that is they could only have been there when Jesus walked the earth, then they would be stronger and more faithful disciples. Sometimes skeptics who doubt Christ will say almost the same thing for different reasons: "If only I could see Jesus perform some miracles, then I would believe." One of the major lessons we can draw from the Gospels is that seeing is not believing, but rather the opposite is true: Believing is seeing. In other words, true insight requires real faith. Most of the people who saw Jesus do miracles did not believe, and the religious leaders had Him executed even though they had seen clear and undeniable evidence of His divinity. Here in today's passage, we have one of the most remarkable events in the life and ministry of Jesus, one that both Peter and John would later recall in their letters. The three disciples who were closest to Jesus were given a rare and special, privileged glimpse of the glory and kingdom of Jesus. And yet, even here, on the mountaintop, with Jesus shining as white as light, it seems Peter missed the point and so God the Father spoke to them directly from the bright glory cloud. Peter saw Jesus with Moses and Elijah and immediately wanted to construct tabernacles for all three of them. So, if Peter missed the point, what was the point of having Moses and Elijah appear with Jesus on the mountain? Very simply, they were there to testify and affirm that Jesus is the long-awaited Messiah. Moses and Elijah represent the Law and the Prophets, respectively, and thus represent the history of revelation and the Scriptures themselves. If you could select two people who represent the testimony of "the Law and the Prophets" (a common way of referring to Scripture in Jesus' day), it would be Moses and Elijah. But rather than seeing the Law and the Prophets testifying about Jesus, Peter just saw three spiritual superheroes to worship. And so the voice of God came directly to clarify: "This is my beloved Son, with whom I am well-pleased; listen to Him!" God didn't say, "These are my beloved sons," but He uniquely identified and testified about Jesus. We must take the available revelation from God in the Holy Scriptures and, by faith, see that they are showing us and telling us the truth about Jesus. If we will not trust the testimony of God in the Scriptures, nothing we see can will a difference. Faith lovingly trusts and receives God's Word and sees Jesus throughout. 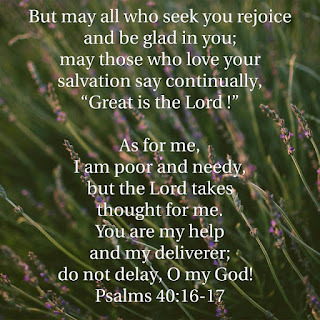 Psalm 40 is another of my favorite psalms.